Over the past 58 years, more than 3,000 University of Redlands students have studied in Salzburg, Austria. Students reside in the Marketenderschlössl, a nearly 500-year-old Renaissance building set among forests and meadows overlooking the ancient heart of Salzburg and the snow-capped peaks of the Austrian and Bavarian Alps in the distance. Enriched by group study and extensive travel opportunities, students engage in a general humanities and social sciences curriculum. Here, Carolyn Swint ’18—a Salzburg Program alumna—interviews Professor Joanna Bieri, who will be teaching the class Mathematics in Art, Architecture and Music in Salzburg in the fall. Joanna Bieri: The class I will be teaching abroad focuses on mathematics, art, and music. We will explore the ways math interacts with art when you wouldn’t necessarily think that they would overlap. I would define this as a course for which you wouldn't need to be good at math or art; you’d just need to have an appreciation for academic inquiry. This class works well in the Salzburg program. We will take a mathematical look in terms of sights and sounds, which allows this class to relate to other courses. Plus, the travel experiences that are available to students will bring another side of math and architecture to the curriculum. JB: I am looking forward to the community feeling of the group—plus, being in the city itself. Salzburg is an exciting place. As far as the teaching aspect, I love art, I have an artistic/musical side to myself and I am excited to get to expand that side of my personality and focus on those aspects alongside math. CW: Have you had any international experience in the past? Either studying, teaching, research, etc. If yes, what was your experience like? JB: In the fall of 2016 I taught the same mathematics course in Salzburg that I will be teaching next fall. It was a great time traveling through Europe; it was highly impactful and has encouraged me to take German lessons. Besides that semester, I have also traveled to Canada and Ireland, but Salzburg was the first place I traveled to that was not an English-speaking country. CW: What made you decide on the fall or spring semester? JB: I wouldn’t mind either semester; I would like to try and go in the spring so I could ski. CW: What is a fun fact that you think your future Salzburg students should know about you? JB: I am trying to learn German. I am also excited to hold office hours for my class at the Stiegl brewery. And, I have two cats. 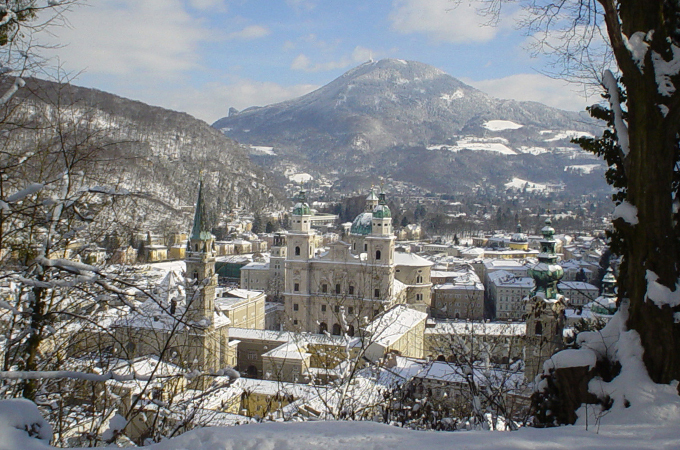 The program’s web pages provide information about the University of Redlands Salzburg Program.